The quality of your video is going to have a huge impact on your analysis and feedback to players. A shaky or blurred image can not only lead to missing key incidents and learning opportunities, but also loses credibility with your players. Like most things in life, the better quality you put in, the more you get out from using video to aid your coaching. Higher quality doesn’t always mean more money. In fact, often having a well thought out plan can have a much larger impact than your overall budget. A few years ago I heard a story of a club spending over $5,000 on a camera and some software to break down film only to realize that the camera man would have to climb on top of a van to capture any footage worth using. This is obviously an extreme case, but the smart move here was to cut back in some areas in order to provide somewhere suitable to film from. Possibly the biggest factor in the quality of your footage will be the camera location. Assuming you only have one camera filming the game, you should try to be as close to the half way line as possible. 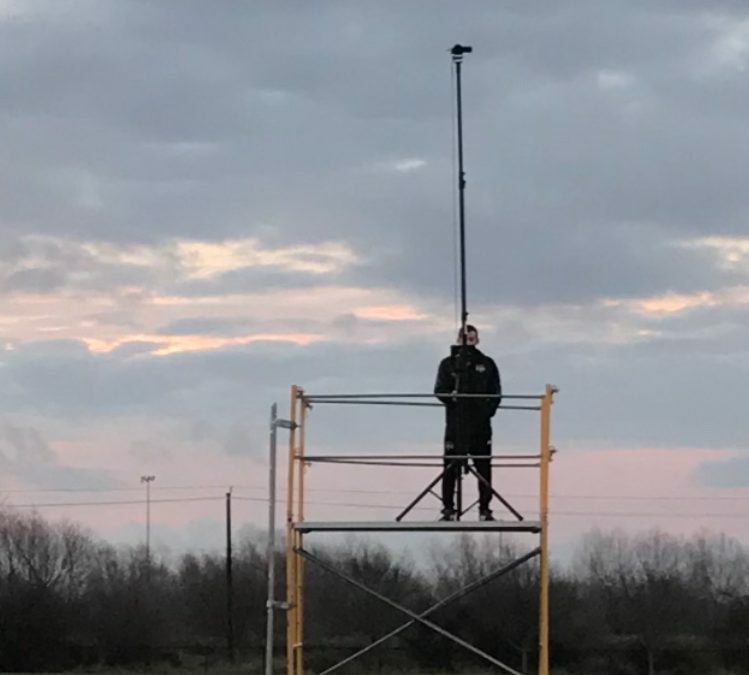 This will give an equal perspective to both ends of the field, as well as the added bonus that your players will be used to this angle, as it’s what they see on their TV at home when watching broadcast games. Next, whenever possible, you should try to capture at least half of the field at all times. Some coaches like the camera to zoom in and out for set pieces, which is fine, but in open play, you should ideally be able to see all 20 outfield players at all times. Even more important than the angle of the camera, is the height. 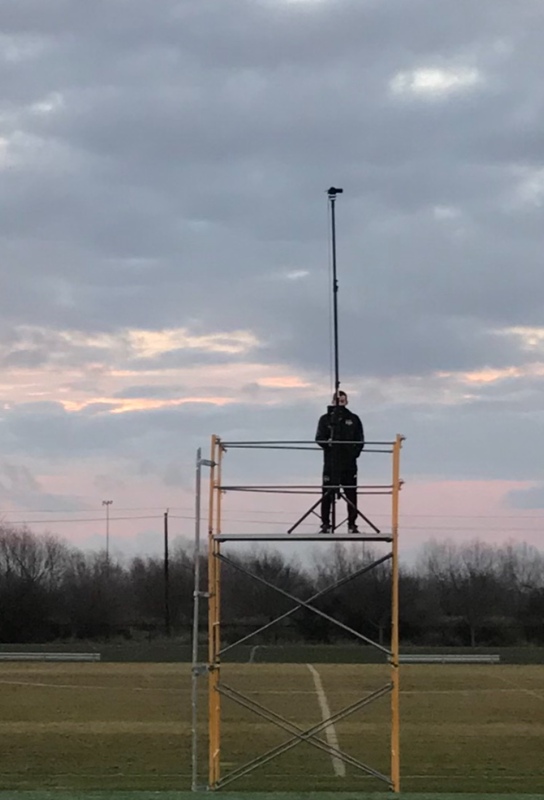 If there’s one thing you should choose to prioritize over all else, ensuring the game is filmed from an elevated position should always come first. What’s better, a high definition, crystal clear image shot at ground level, with no depth perception or idea of spacing, or a lower quality image which shows spacing, angles and depth perception to your players? Take a look at the two images below of the same team playing in two different games. One is shot from ground level, while one is shot from an elevated position. This goes against many people’s belief, but there’s not really that much difference between a $350 camera and an $800 camera when used for filming your games. Yes, the more expensive camera may be record a slightly better image, but not to the extent that you can’t make out which player is which, or where the ball is. The truth is most camcorders available these days will do the job just fine. If you have the budget for a nicer one then of course that is ideal, but the price of a camera is somewhere money can be saved if you are on a tight budget. The two images below are shot from an $899 camera and a $425 one. Always film with your back to the sun. Camera’s pointing towards the sun will cause the image to appear darker, meaning players and colors difficult to make out. Be prepared for rain. Invest in a rain cover or look into waterproof options if you are going to be filming sports outside. Make sure you have a spare battery and a memory card big enough to record a full game.